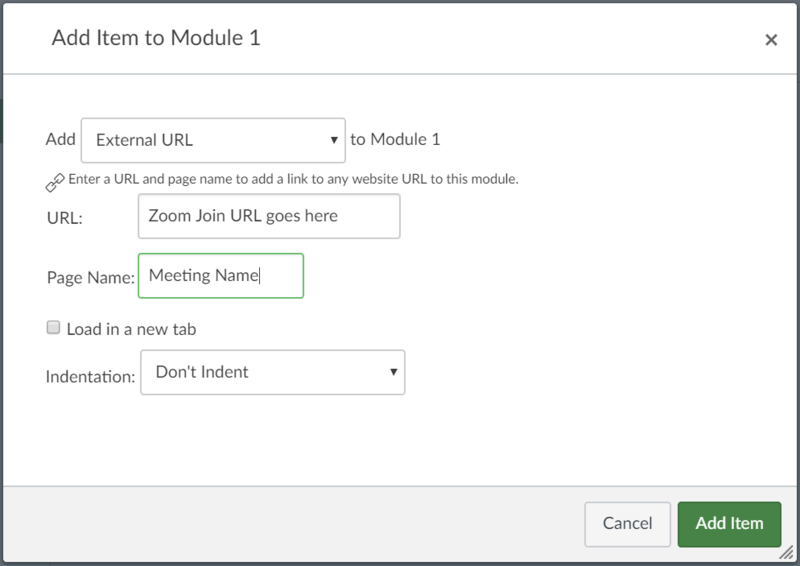 Zoom is UNT’s web conferencing tool for courses and approved special use cases (e.g., student services such as advising, career center, and writing lab). Zoom is the leader in modern enterprise video communications, with a reliable platform for video/audio conferencing, collaboration, chat, and webinars across mobile devices, desktop computers, and telephones. It is easy to use and is integrated with Canvas. 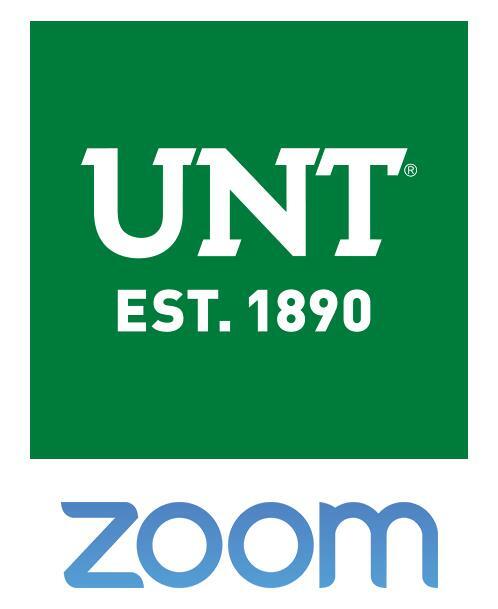 This Zoom license is exclusive to the UNT campus. For non-course related web-conferencing or non-UNT personnel use, Skype for Business or Microsoft Teams is recommended by ITSS. The UNT System has a site license for Office 365 which includes Skype for Business and MS Teams. Please contact your network manager if you need help installing or using Skype or MS Teams. Screen Sharing: One-click HD screen sharing – even share video and audio with ease! The Zoom Help Center offers 24/7 live chat and phone support, videos, and tutorials. You can also contact the CLEAR Faculty Helpdesk for UNT Zoom access and specific questions related to Canvas. Click on the options below to learn how to access and use Zoom within Canvas. Log in with your EUID and password. You have authenticated your account; this is a one-time sign-on, and you can now integrate Zoom into Canvas. You can log out of this page! Go to your Canvas course and select the "Modules" menu item. Click on the "+" icon at the top-right of the module. Under the drop-down menu that defaults to "Assignment," select "External Tool." Scroll down and select "Zoom." Do not alter the URL that auto-populates under "URL." Under "Page Name," you can give your new module item a name. Only you will see it. Leave the new item unpublished. It is only for you, and clicking on it will lead you to your Zoom menu (explained below). Go to your Canvas course and select the "Settings" menu item. Click on the "Navigation" tab at the top of your screen. In the list of menu items that appear, locate "Zoom." Click on the vertical three dots to the right of "Zoom," and select "Enable." Scroll to the bottom of the "Navigation" page, and click "Save." This will allow both you and your students to see the Zoom menu (explained below). Your Zoom menu (pictured below) shows upcoming and previous meetings, your personal meeting room, and cloud recordings. When students access this menu, they only see upcoming and previous meetings. When your meeting can begin, as well as Duration and the Time Zone that will be listed alongside the meeting's time. Recurring meeting (pictured right) to make this meeting recur daily, weekly, monthly, or at no fixed time. You can also specify an end to the recurrence. You can choose to make Registration for the meeting mandatory. Turning on the Video option for host or participant enables the user's camera as soon as they enter the meeting. The Audio option allows you to choose to enable Telephone or Computer Audio (or both) for a meeting. Enable participants to join before you (the host); if you do not enable this, students will see a notification that says "Please wait for the host to start this meeting." Record the meeting automatically; if you do not enable this option, you can still begin recording the meeting anytime after it begins. Alternative Hosts: This option allows you to designate another person as the host of your meeting. Click "Save" to be taken to the meeting's page. This page can also be accessed through "Upcoming Meetings" in your Zoom menu. Within your Canvas course, select the "Home" menu item. On the right-hand side of your page, select "Student View." You can now see how your course appears to a student. To exit student view, select "Leave Student View" at the bottom right. First, locate your meeting's Join URL. From within your Zoom menu, select "Upcoming Meetings." Click on the meeting topic. Send this URL to students in whatever way you prefer. You can e-mail the link to students, create an "External URL" link within a module (explained below), or copy/paste the link into the text of a page, assignment, etc. Next, place the Join URL in a Module. Go to your Canvas course, and select the "Modules" menu item. Under the drop-down menu that defaults to "Assignment," select "External URL." Under URL, insert the meeting's "Join URL." Under "Page Name," you can give your Zoom meeting a name. When students go to this URL, they will be prompted to download Zoom and enter the meeting. They can also opt to view the meeting in a browser instead of initiating a download. As soon as a user goes to the "Join URL" described above, they will have a series of options for communicating with other students and the meeting host. As a meeting host, you can use multiple tools (pictured below) that Zoom explains in a video about meeting controls. Invite allows you to send an e-mail invitation to a student, copy the Join URL, or copy an invitation that can be inserted into an invitation message. Manage Participants activates a window that displays participants who are currently in the meeting. When you hover over a user's name, you can mute the user or rename them. Polls are a tool that prompts the host to create a question and allows participants to vote on it. Share Screen displays all browser windows that you can select to show to meeting participants. Chat automatically allows students to speak with the instructor and fellow participants. Notifications appear for new messages, and students can select icons within chat that signify "yes," "no," "go slower," "go faster," "dislike," "like," "need a break," and "away." Record presents a choice between storing recordings on this computer or online in your Zoom menu. Closed Captions allows the host to write their own closed captions, use a third-party tool to create captions, or select a student to transcribe the meeting. To select a participant who will write captions, point your mouse at their name and click "More." Select "Assign to type Close Caption." Breakout Rooms facilitate separation of participants into their own groups for brief discussions. Participants can be brought back into a meeting at any time. If you select "Record" in a meeting, you can opt to store the recorded meeting on your computer or on the Cloud. If you choose to store the recording on your computer, a "Zoom" folder will be created in your File Explorer under "Documents." When the meeting has concluded, its recording will appear within that folder. Recordings stored on the Cloud will appear in the "Cloud Recordings" tab within your Zoom menu. You will be sent an e-mail when the Cloud recording is ready.